Still procrastinating over your snow removal contract? What if an expert told you all the must-haves you should include — and even offered a pro tip on how to ensure you get dibs on first-response service? Greg Smith, director of business development for Greenscape Inc, offers an expert take on the must-haves for medical facility, class A office building, and retail center snow removal contracts. “Properties like this need to open for business,” Smith says. And they need to be safe. We know you have zero tolerance for slick surfaces. You can’t have tenants or customers slipping on ice or cars sliding into each other in your parking lots. Smith shares the must-haves you need. We can’t say enough good things about brine. Brine is a liquid mixture of water and salt that we apply to parking lots, driveways and walkways from 12 to 24 hours before a snowstorm. It keeps ice and snow from sticking, making your surfaces safer. While solid ice melt products take a while to work, liquid brine gets to work as soon as it hits the pavement. “We shift a lot here between ice and snow,” Smith says. Brine tackles them both — before they even arrive. This, of course, is a no brainer. When the slick white stuff starts to pile up, it needs to go. And fast, at a property like yours. 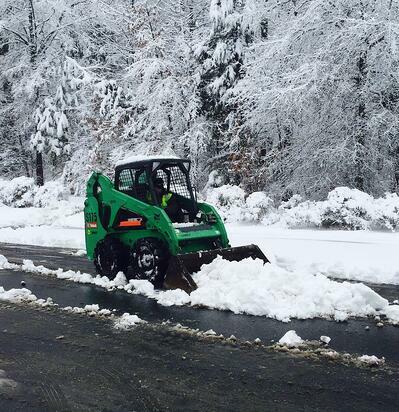 We use a combination of plows, heavy machinery and hand shoveling to clear your property quickly and efficiently. If the snow piles up so high you run out of places to put it, we also offer snow relocation, which means we’ll haul it away. This hardly ever happens in our neck of the woods. But if it does, we’re prepared. You might call it salt, but we don’t use rock salt anymore. We use an ice melt product that’s safer for the environment. It’s a key weapon in the battle against slick surfaces, Smith says. “This step is so important,” Smith says. “It really burns up compacted snow. We use this during daylight hours and take advantage of the sun to help the melting process. Melting snow and ice just a little bit doesn’t cut it. “It will just refreeze when the temperature dips back down at night,” he says. The goal is dry pavement. Greenscape Inc. offers two tiers of snow removal service. Tier One puts you at the top of the snow removal list — you’ll get serviced first. It’s like calling dibs, Smith says. Tier Two customers wait longer — sometimes until the day after a big storm. If you’re a medical facility, a class A office building or a retail center, choose Tier One service, Smith says. Only so many customers can be Tier One, he notes. So don’t delay. Yes, you need to decide about brine, snow removal, ice melt and your level of service. But there’s more to providing top notch snow removal than equipment and materials. That’s why your client relations manager will sit down with you — the sooner the better — to talk about all the details that make your property unique. “We create a priority map of your property,” Smith says. “Do you have a priority one parking lot and a priority two parking lot? What areas do you want shoveled? Where do you want ice melt applied? “Do you have shift changes? How many? At what times? At Greenscape, we only offer snow removal for our current landscaping customers. Clients with a signed snow removal contract have top priority. It means our crews are already familiar with your property. Chances are, we’ve been there hundreds of times. We’re well acquainted with your parking lots, loading docks, entrances, walkways, drains and curbs. We can expertly guide you in creating a snow removal contract that fits your property perfectly. Don’t wait until there’s an ice storm to talk to your client relations manager about your snow removal plan. By then, it’s too late. Our routes, plans, subcontractors and supplies are all set by then. Our planning for snow and ice management is already in full swing. Is your snow removal contract signed and sealed? 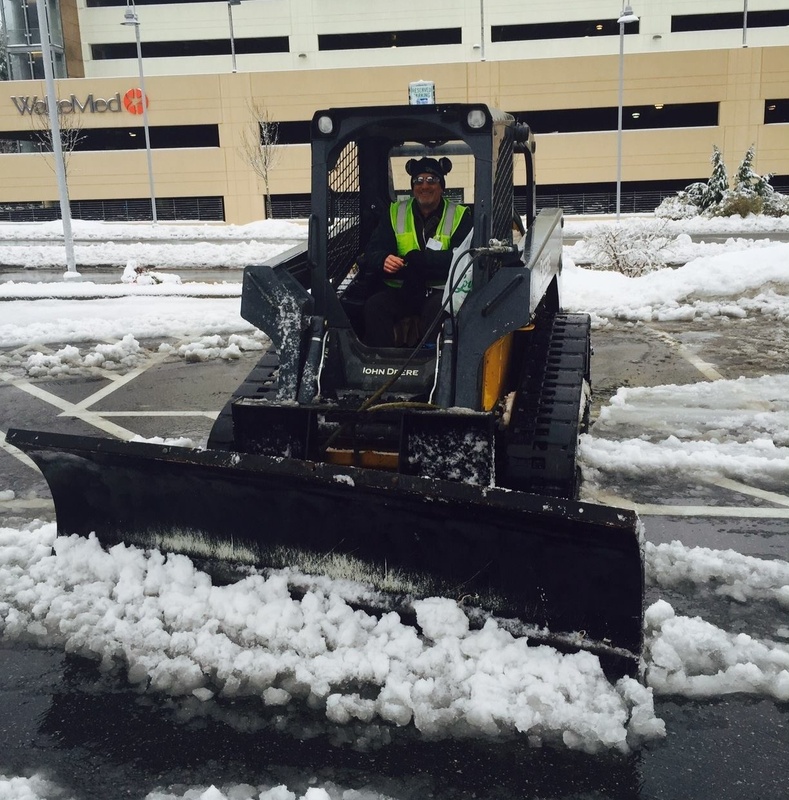 At Greenscape, Inc., we know how crucial it is to have safe, clear parking lots and walkways at your medical facility, class A office building or retail center. Questions about snow removal contracts? We’re happy to help. 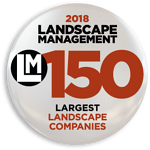 We’ve been meeting the full-service landscaping needs of commercial customers in the Raleigh, Durham, Chapel Hill and Cary areas for almost 40 years. In addition to snow removal, we offer landscape management and lawn care, design and build services, irrigation, landscape lighting and more. Call us at 919-552-7742 or fill out our online form to request a free consultation about snow removal or any of our comprehensive services.